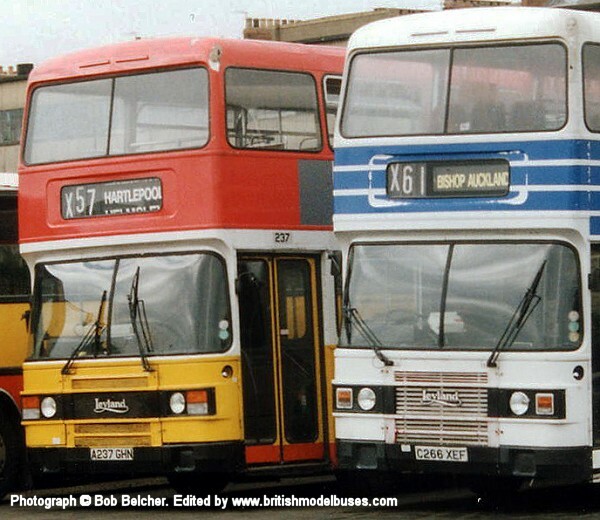 This photograph taken in Gourock during August 1990 shows F882VSJ. 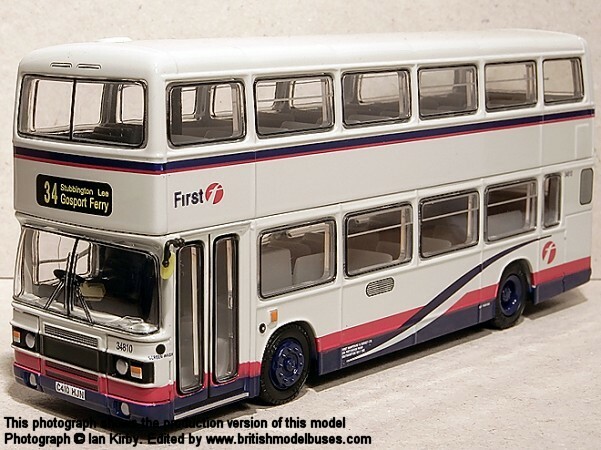 This is the actual vehicle as represented later in her life in Chester City Transport livery by EFE model 29616. 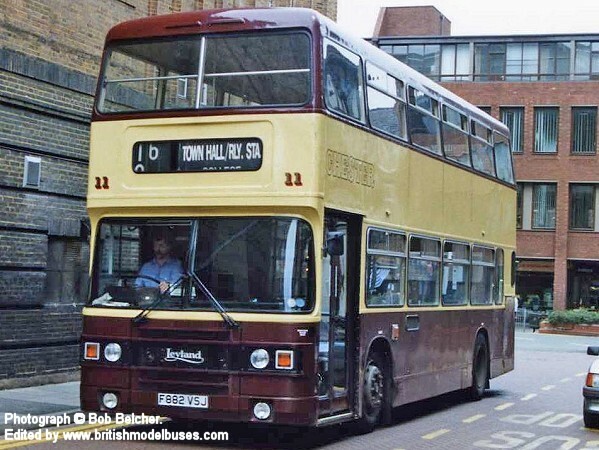 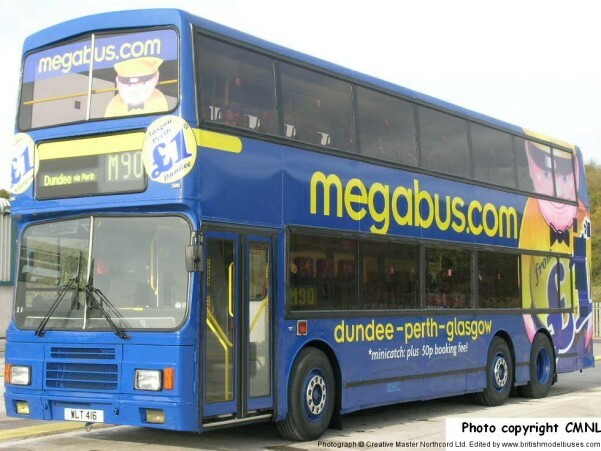 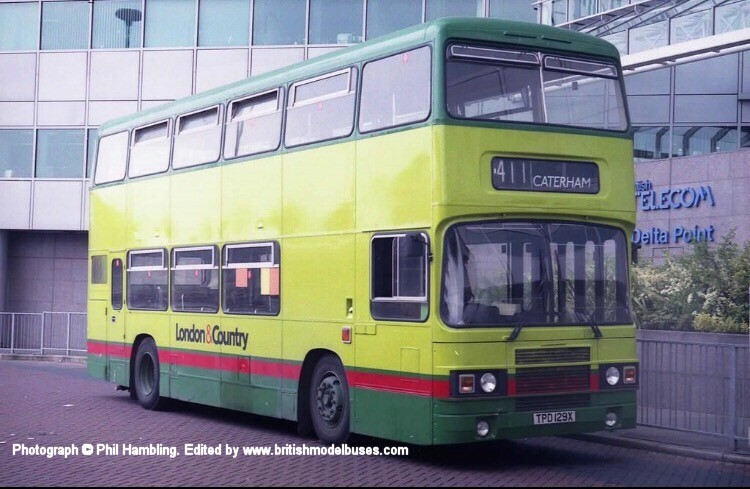 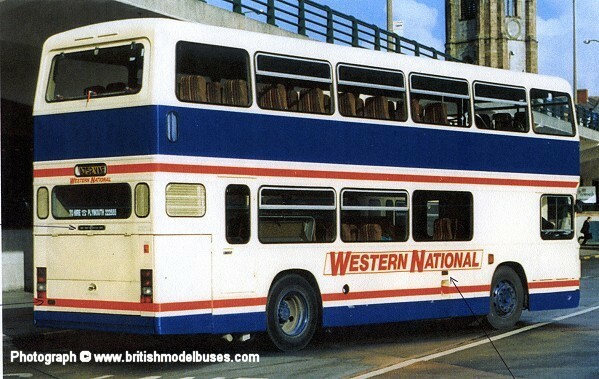 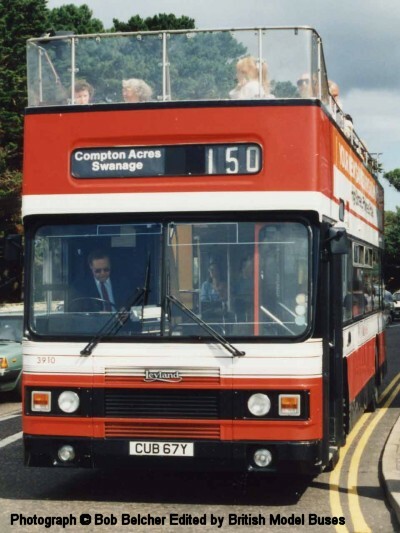 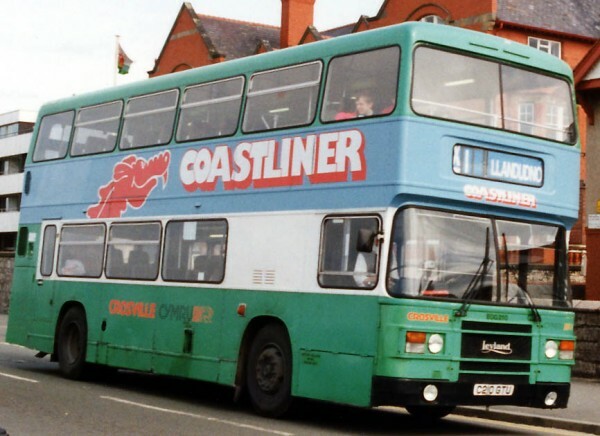 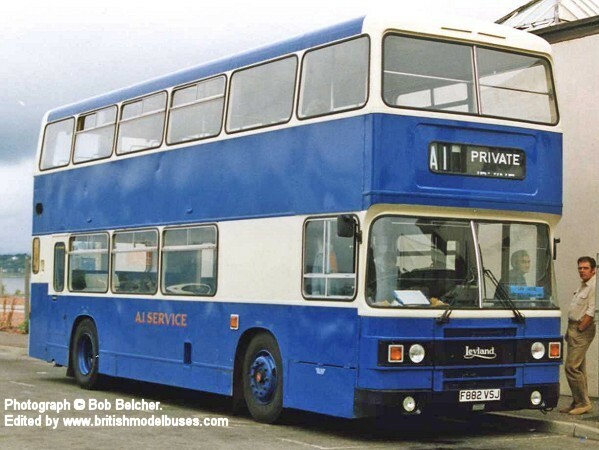 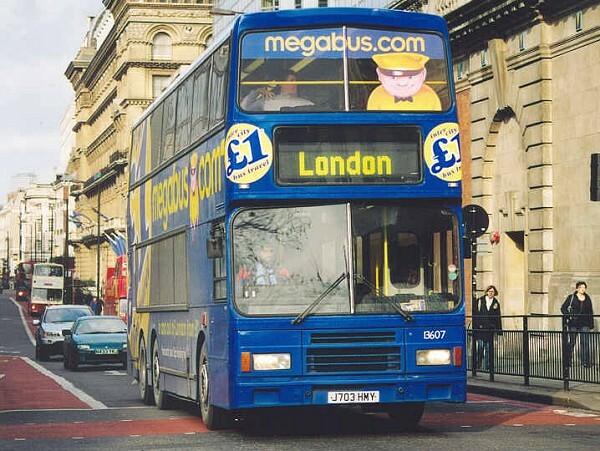 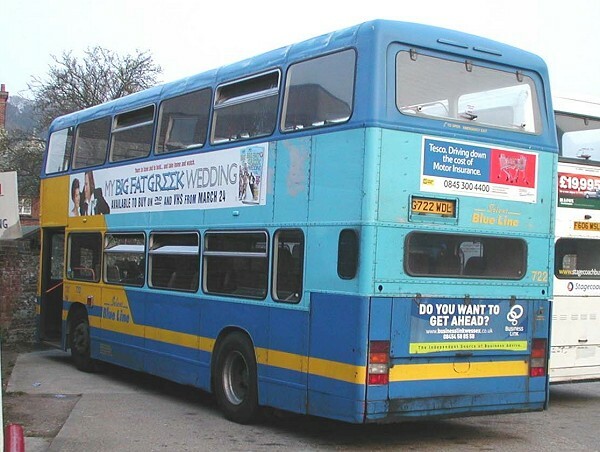 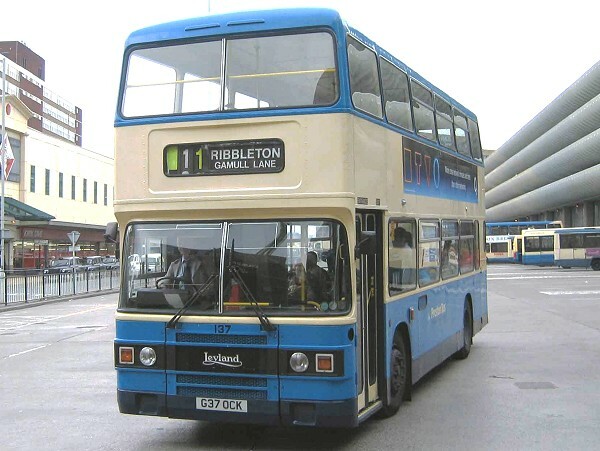 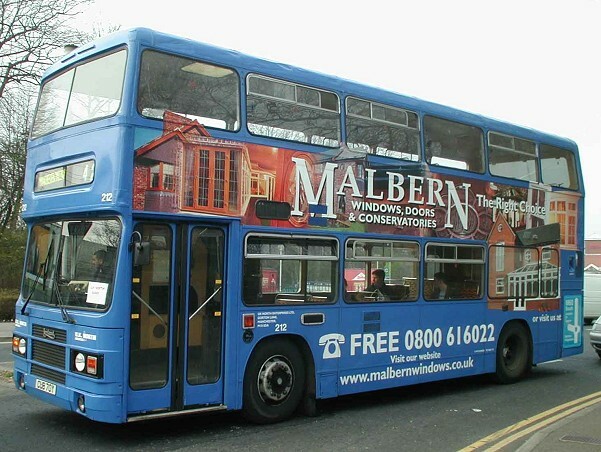 See photograph below of the same vehicle later in life in Chester City Transport livery. 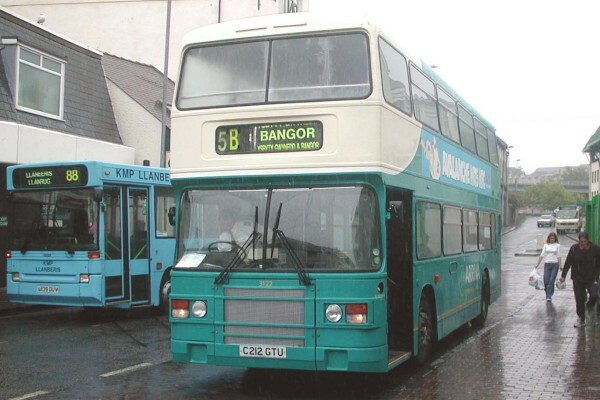 This photograph taken on a very wet 7th August 2002 in Caernarfon, shows fleet number 3122 (C212GTU). 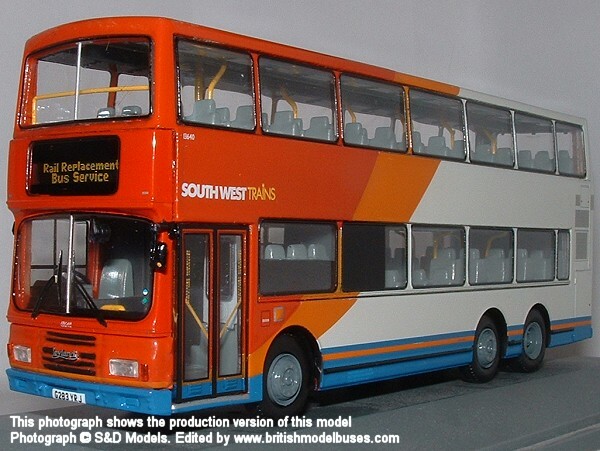 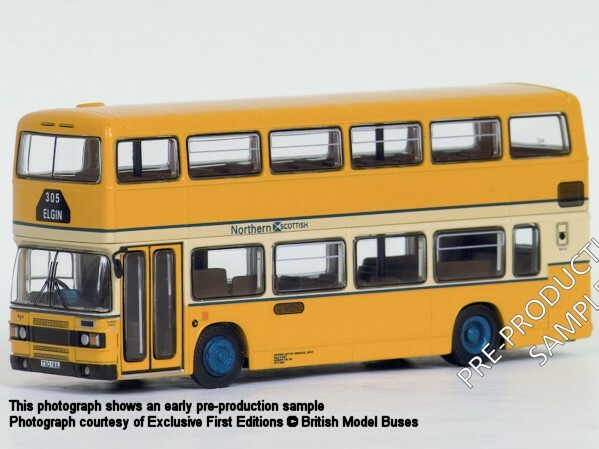 Corgi OOC model OM43001 represented fleet number DOG 209 (C209GTU) as one of the series of models produced to go with the "History of the British double decker" stamp series . 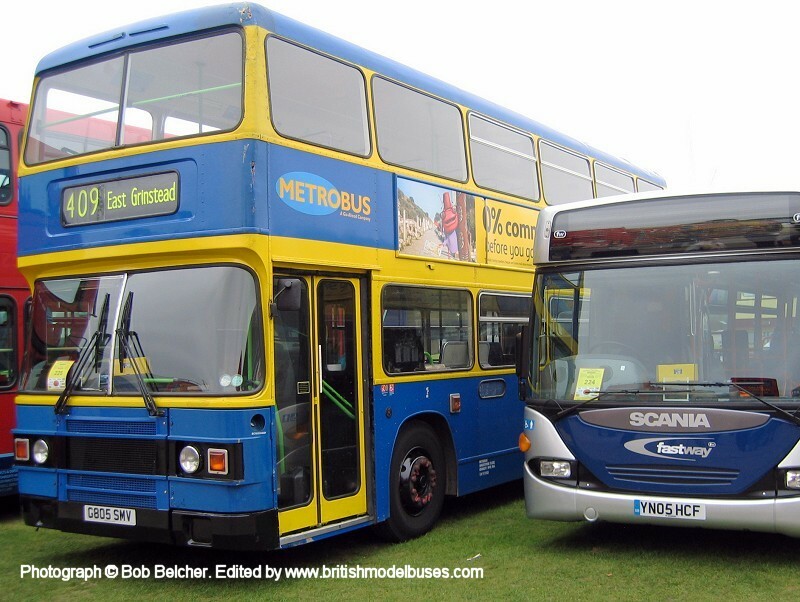 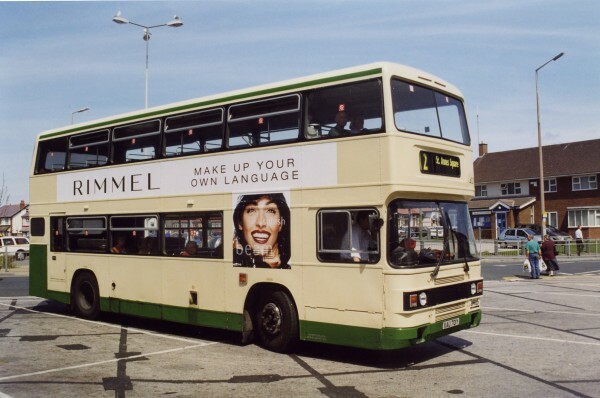 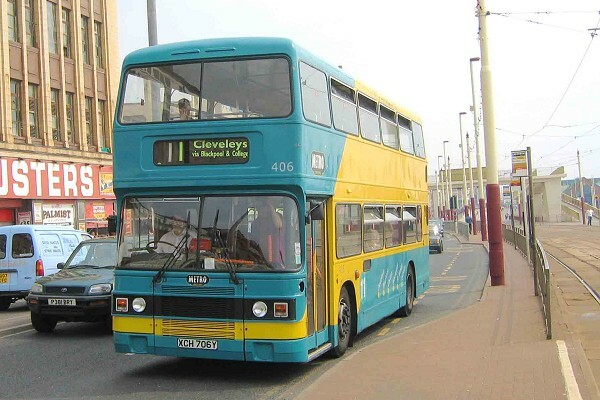 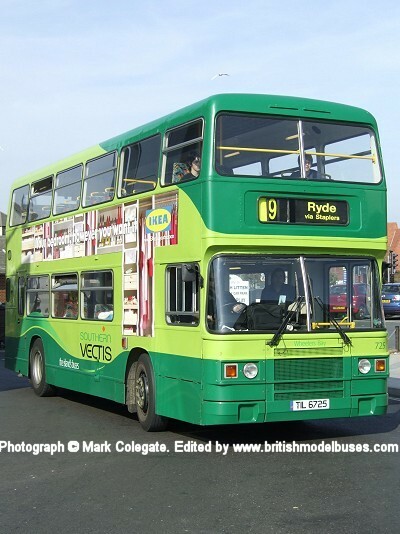 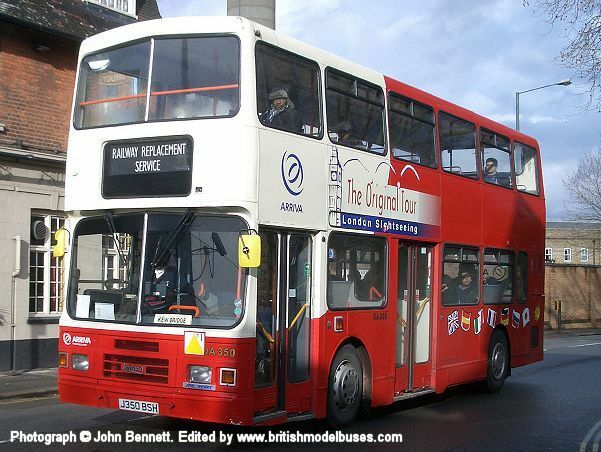 This photograph taken in Blackpool during May 2003 shows fleet number 406 (XCH706Y). 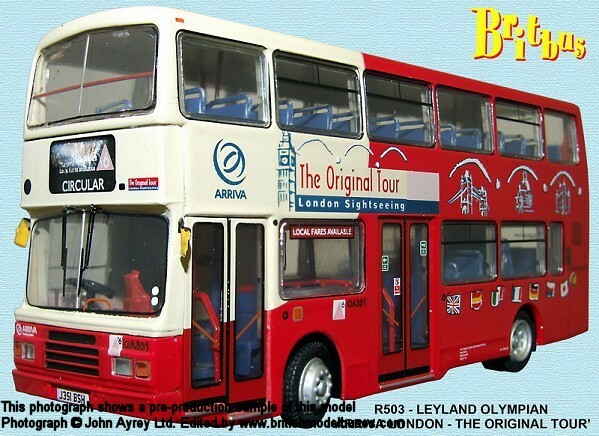 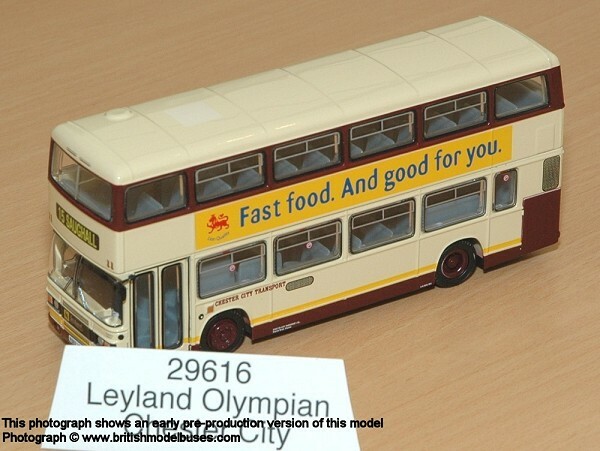 This is the actual vehicle as represented by Corgi OOC model 43008, although the model was represented in standard Blackpool livery as shown above. 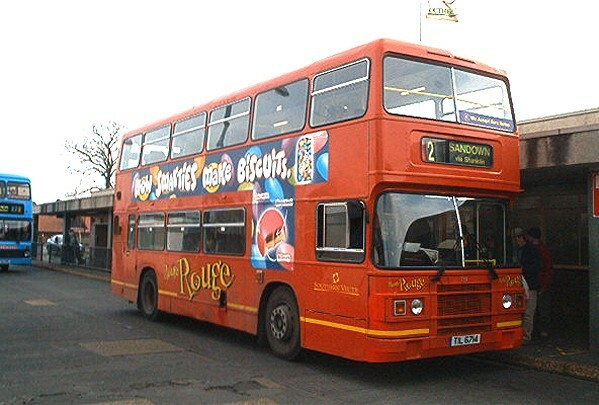 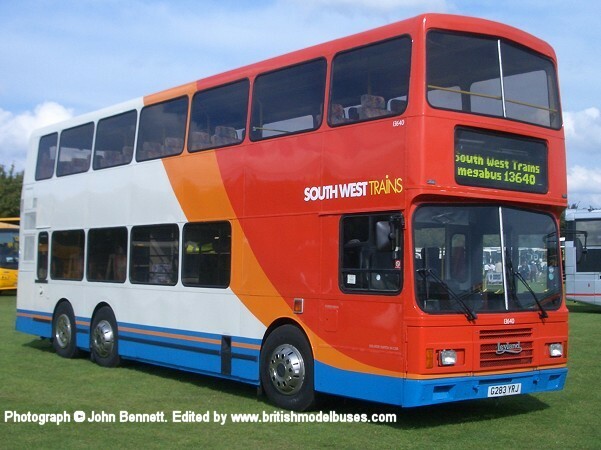 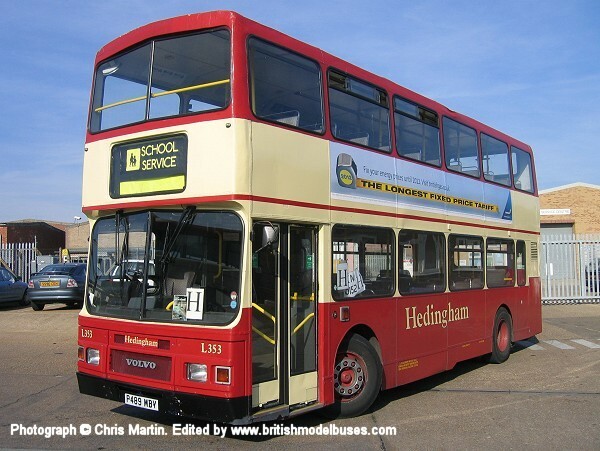 This photograph was taken on 26th July 2006 in Ryde Bus Station and shows fleet number 34810 (C410HJN). 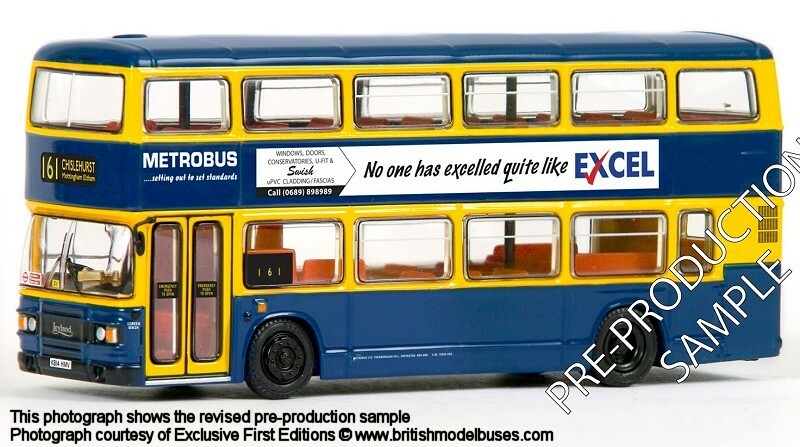 This is the actual vehicle represented by EFE model 29615. 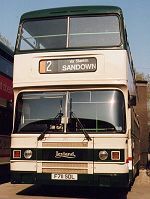 31/8/2005 Many thanks to Tom Walker for advising me that the operator running this vehicle at the time shown was "Red Kite". 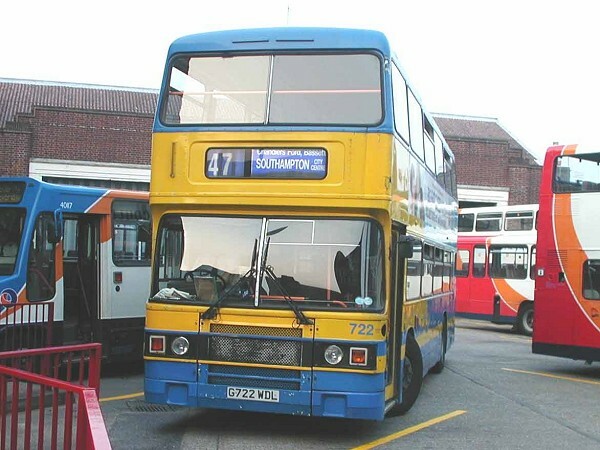 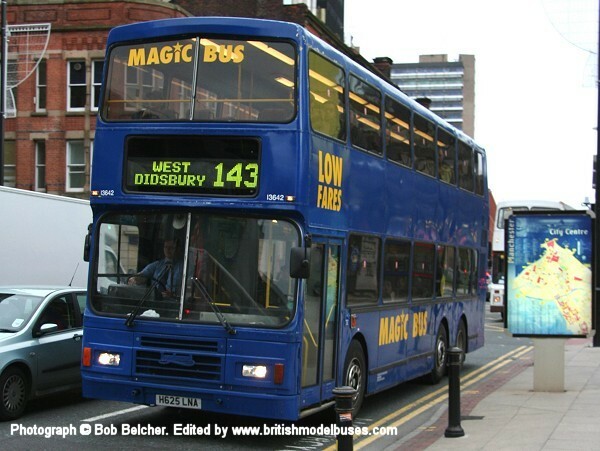 This photograph was taken at Preston Bus Station on 27th May 2003 and shows fleet number 137 (G37OCK). 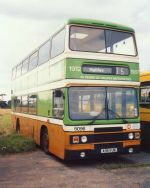 This vehicle is a sister vehicle to fleet number 136 (G36OCK) as represented by EFE model 29604. 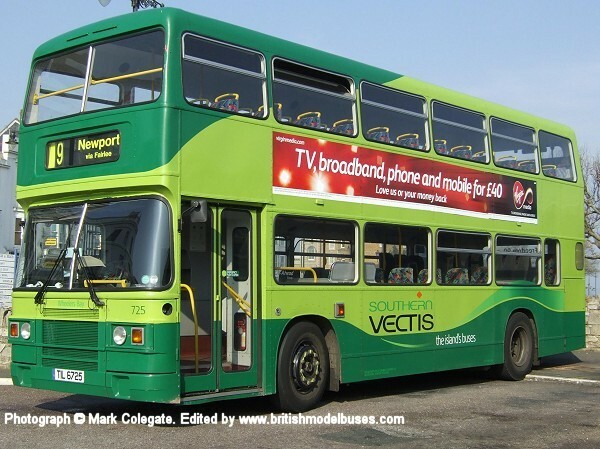 This photograph was taken on 21 April 2007 at Newport and shows the offside view of the above. 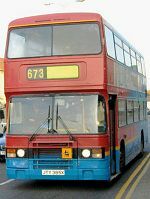 This photograph was taken in the bus parking area outside Scarborough Railway Station during August 1991 and shows on the left of photograph fleet number 237 (A237GHN). 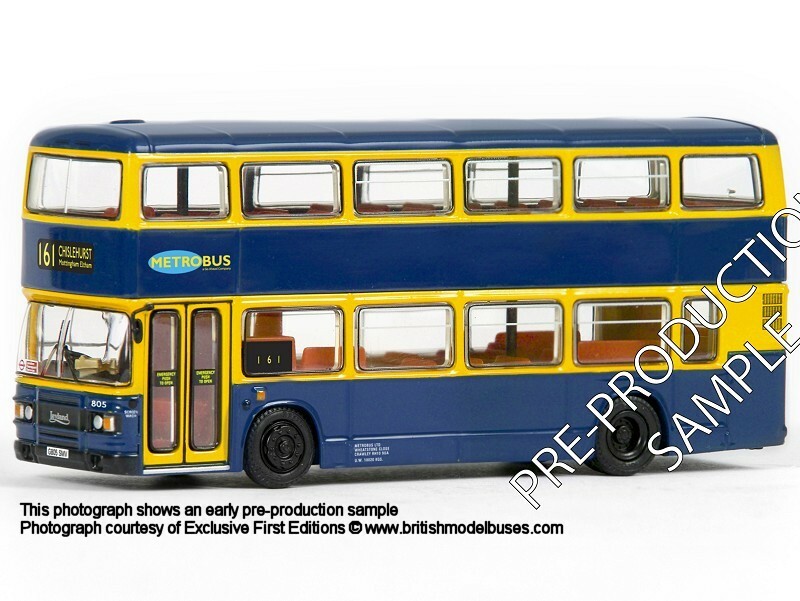 This is the actual vehicle as represented by EFE model 29611. 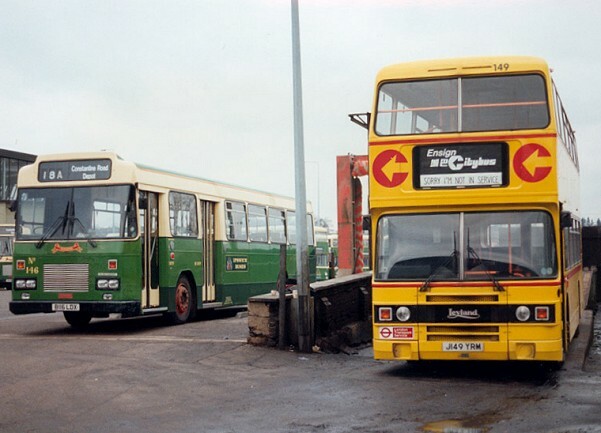 The Olympian on the right side of photograph is in "Tyne Link" livery - another possible future livery for the EFE casting? 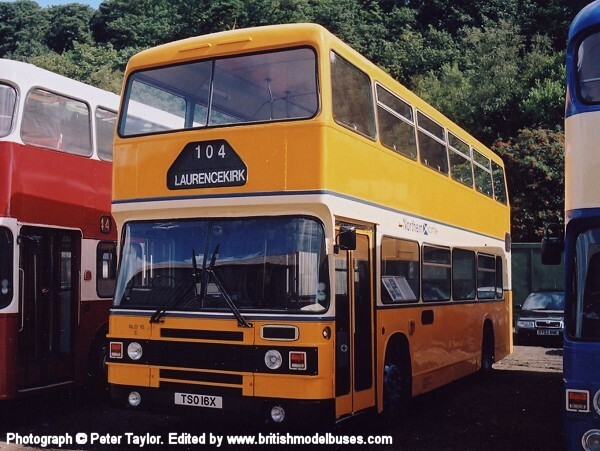 This photograph was taken at the Crich Extravaganza in August 1988. 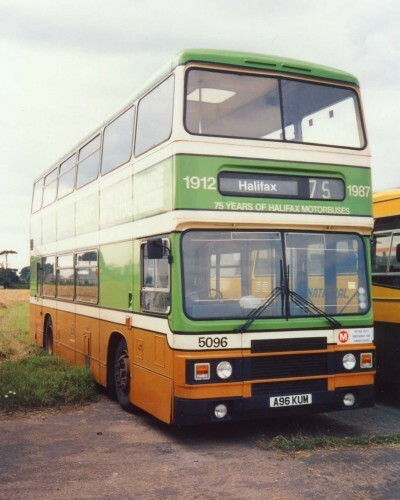 It shows fleet number 5096 (A96KUM) in Halifax Commemorative livery. 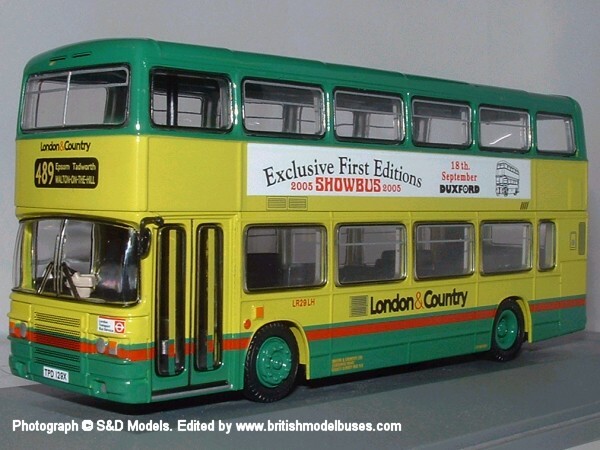 This is the actual vehicle represented by the Corgi OOC model 43011. 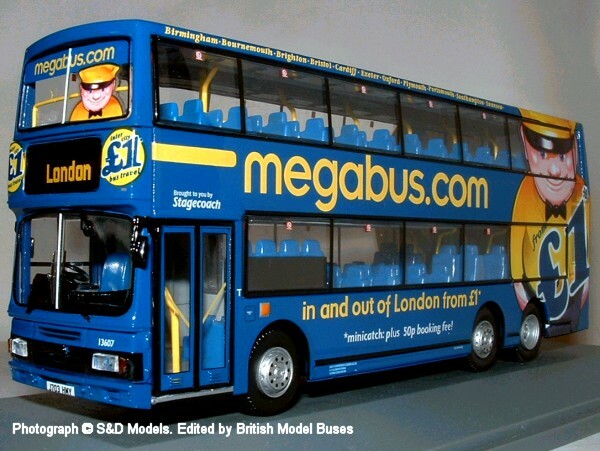 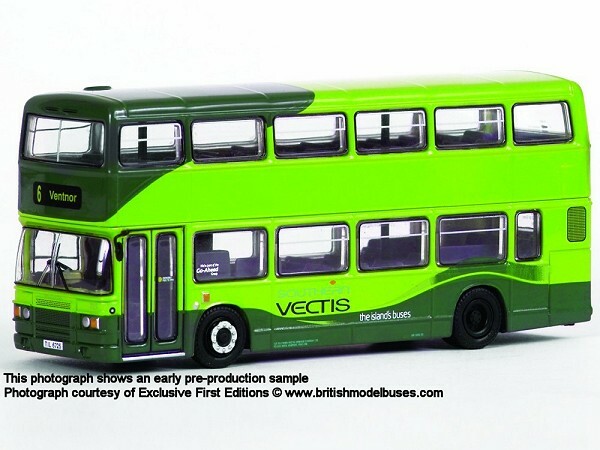 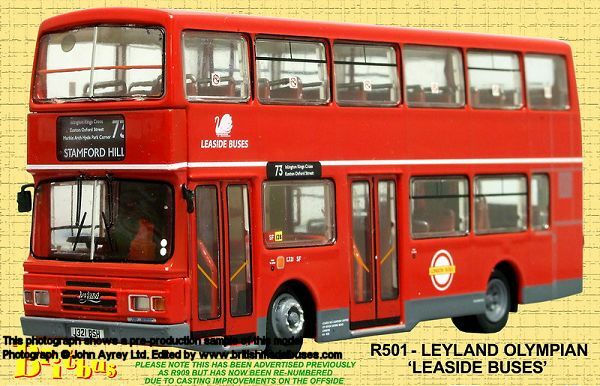 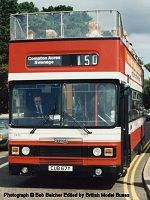 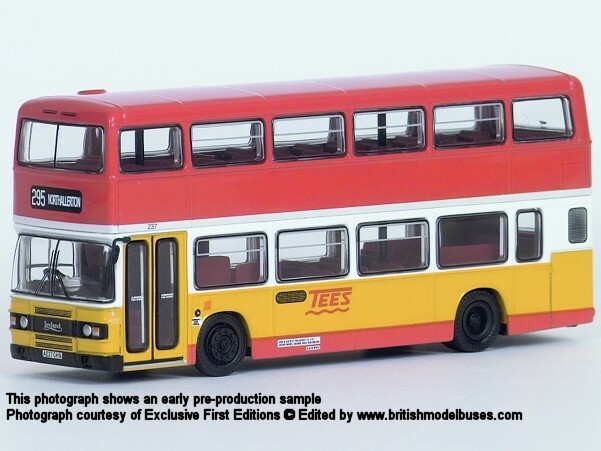 Corgi Classics also portrayed this vehicle in their Yorkshire Rider series of 1/72nd scale "toy" Metrobuses. 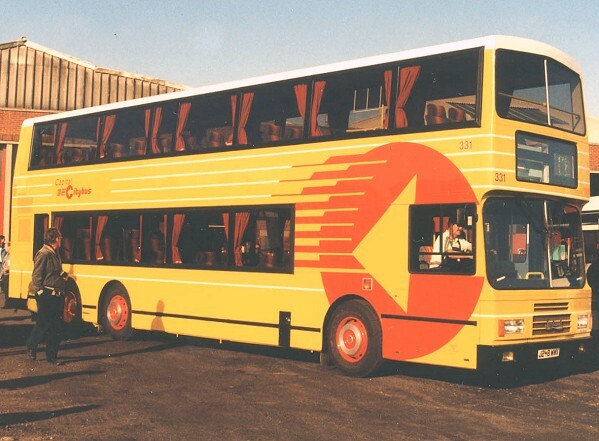 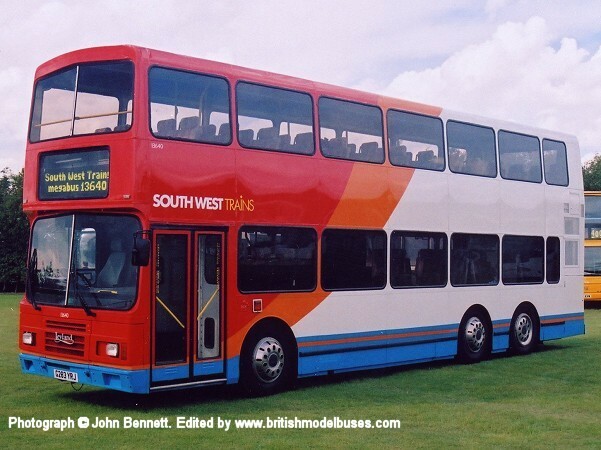 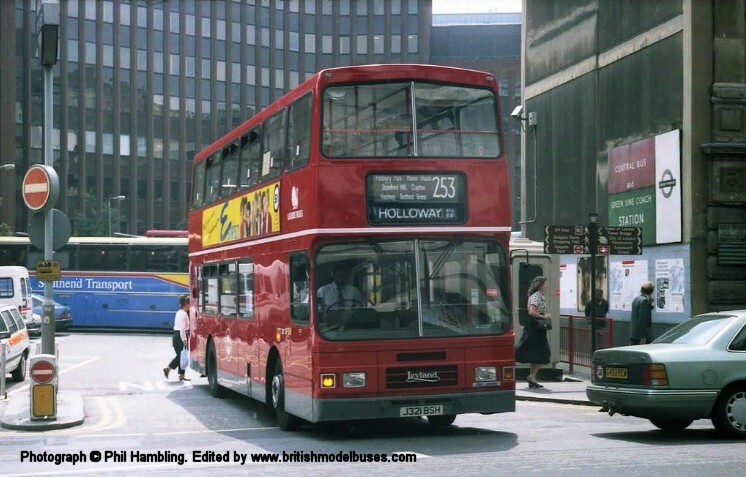 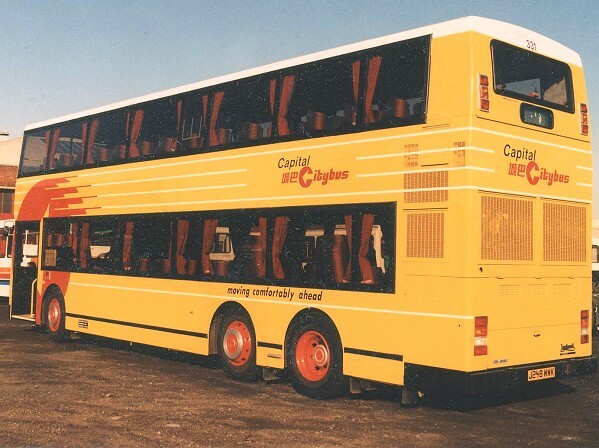 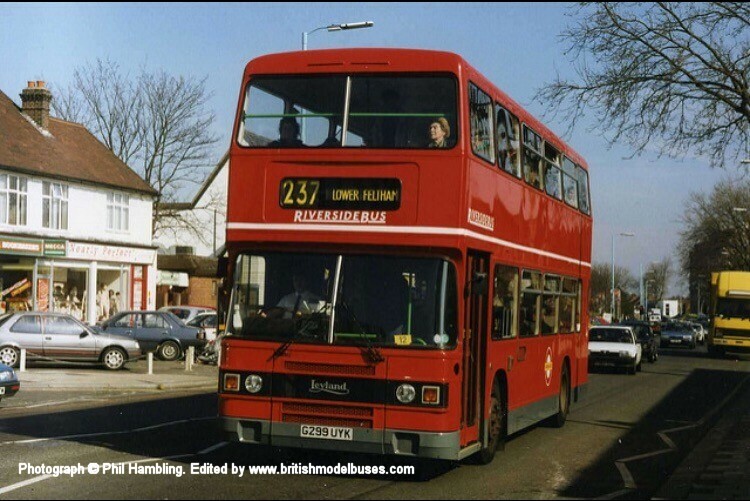 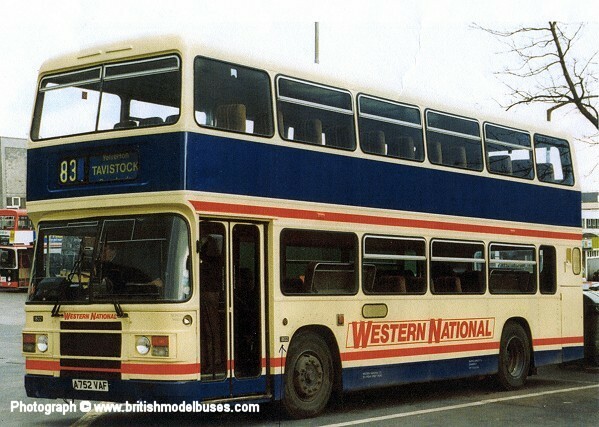 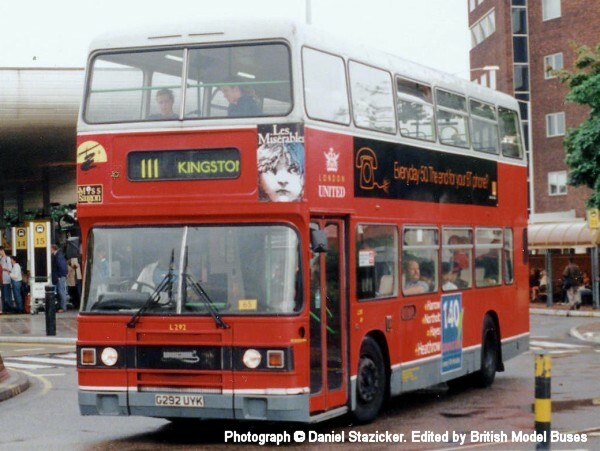 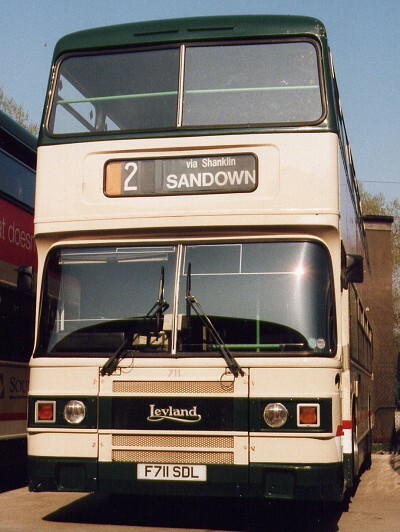 This photograph taken circa 1992 shows fleet number 331 (J248WWK). 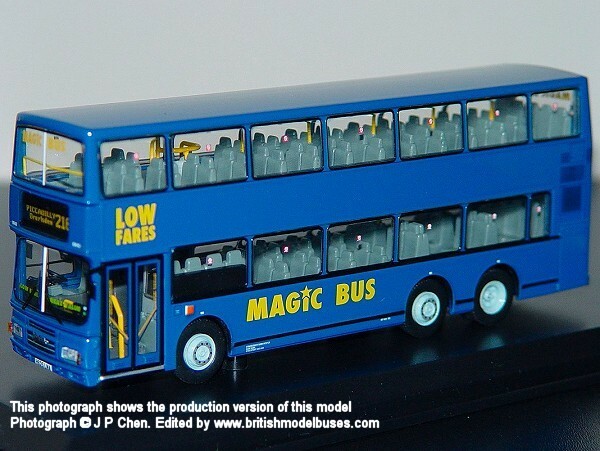 This is the actual vehicle represented by Corgi OOC model 43214.